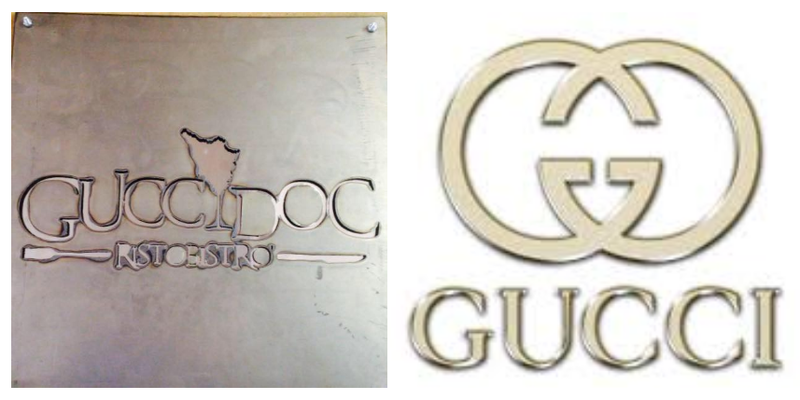 In my humble opinion, a demand to change the font and/or add a big notice like “this restaurant is NOT affiliated in any way with the Gucci fashion house” would have been more than enough. Still paranoid, probably, but bearable without any substantial damage (both for the restaurant, and for the fashion house). As the Gucci family said in a comment, “we ARE named Gucci too, and by much longer than you”. and add my own: you know what to do now. Please share this post and shop accordingly. May the Streisand Effect be with you. Final note: this is not the first time that something like this happens. In Italy, in 2003, a stamp maker named Luca Armani had to give up his own domain name, www.armani.it, to the Armani fashion house.